Taunya Gren has been in the entertainment industry for 43 years as an actress, producer, director and writer. Her first time as Associate Producer, she worked with and was mentored by Gerald Molen (Schindlers List, Minority Report, Jurassic Park). She has been producing independent film, web series and television ever since. Spending 7 years in broadcast television, she directed live news broadcasts for NBC, CBS and PBS stations, as well as 8 years as a screenwriter, winning the 2013 Utah Women in Film screenwriting contest. Currently, she has written 2 produced features and is a writer on three television series in development. Award-winning author Mike Robinson began at 19 by selling short fiction to magazines, journals and podcasts. His first novel, Skunk Ape Semester, debuted in 2012. Next came the supernatural mystery The Green-Eyed Monster, which was noted in Stephen Jones's The Mammoth Book of the Best New Horror, #24. He is also the author of the psychological horror novel The Prince of Earth, the surreal thriller Negative Space and a collection of short stories, Too Much Dark Matter, Too Little Gray. In addition, he edits the magazine Literary Landscapes. He is represented by the Azantian Literary Agency. Seanna Ladd is an actress, writer and producer. She's been with 5 Rainbow Productions for the last five years, and, in addition to playing one of the leading roles, was the co-creator of the award-winning supernatural web series, "Raising Kayn," as well as being a writer and lead actress in the soon-to-be-released film Chrysaline. Scott New is old Hollywood blood, growing up backstage on everything from Dukes of Hazzard to Star Trek with his father who was a professional stunt man. Years later, he worked in FX makeup and special effects on a number of features, before turning to writing screenplays. With his partner, Sheri Norris, he has written ten screenplays and directed the feature film Blood Corral. Sheri Norris is a screenwriter, producer, educator, and former film make-up artist on a number of high end projects. 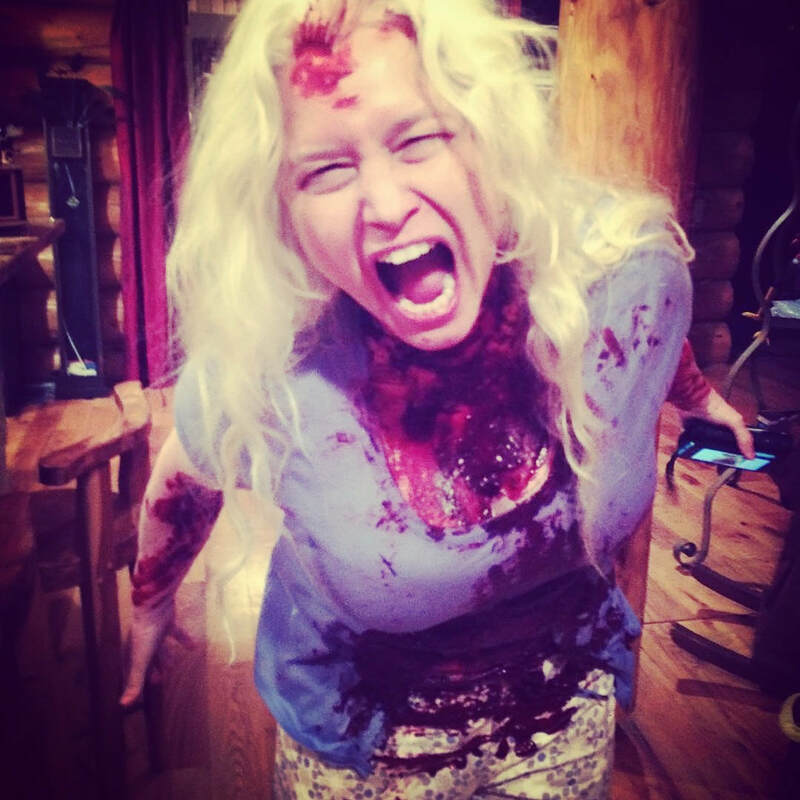 Together with her partner Scott New, she has written ten projects for film and television, and recently has stepped into the producer ring as the Production Manager of the feature film Blood Corral.